Home » Professsional Organizing » I Got Nuthin’! 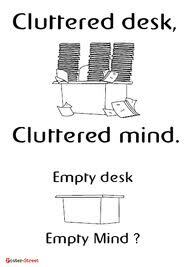 This entry was posted in Professsional Organizing and tagged Cluttered desk, Empty mind, Life. Bookmark the permalink.